The social media platform Twitter can be used for a wide range of purposes – including learning. Here, we present a range of options for how to use Twitter for learning. For many years, Twitter was at the top of Jane Hart’s list of the top 100 personal learning tools (which has been appearing for about a decade now); it is currently in third place behind Google Search and YouTube. Twitter also ranks third among the top 200 tools for learning . It is not a coincidence that Twitter ranks so highly in this aspect, as it supports personal learning on a number of levels. From the teacher’s perspective, Twitter also offers a number of advantages – for lecturers, for instance. 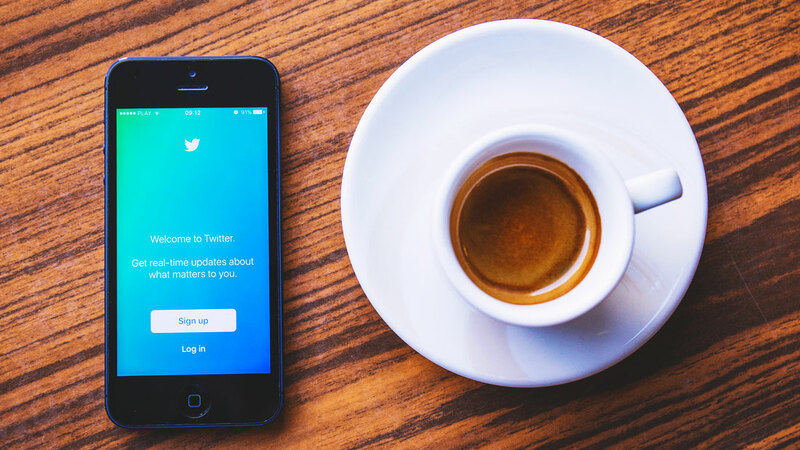 Whether you are a student, academic, pupil, teacher, employee or self-employed: Twitter can be used to meet a variety of learning objectives, in individual contexts and in a manner best suited to one’s needs. People often use networks to learn, and Twitter – with its architecture, functions and features – is an ideal tool for this purpose. Twitter is used in schools – for example, in the United States. The objectives are to increase pupil engagement in and outside of the classroom and to strengthen team building or communication. It is also used to demonstrate the relevance of the learning material and to enrich it, e.g. with Open Educational Resources which can be discovered on Twitter. Twitter can also be used in university education, research or for learning in a professional context – and it encourages individual, self-paced learning. As many use Twitter on their smartphone, it is also a mobile learning environment. Twitter can be used to stay up-to-date on topics of interest. To do this, users can follow experts in various fields on Twitter who can be found, for example, through thematically relevant hashtags. Users can also research hashtags on a topic or use apps like Tweetdeck to subscribe to them. Users can create private or public lists to group experts from various fields. Users can also subscribe to expert lists created by others. Accordingly, Twitter can also be seen as an academic journal – to the extent that some users no longer feel the need to read specialist publications. Twitter is also a great tool for exchanging views and ideas with others such as specialists in their particular fields. In this way, you can benefit from the expertise of others, get feedback or discover new ideas. Users can do this in a number of ways, including by asking questions, answering questions from others, expressing their own ideas, giving feedback or creating surveys. This is an effect that also applies to writing blog posts: Authors who write for public consumption are much more reflective and therefore learn more themselves. Naturally, it is much easier to write knowledgeably and effectively about topics when you fully understand them yourself. At the same time, the newly produced content can serve as learning content for others. To write a tweet (as a note) to yourself about something newly learned therefore encourages your own learning and also presents potential learning opportunities for others. A good example is this webinar (link in German) “Learning on social media using Twitter”. One example is writing tweets about interesting points in presentations, such as during conferences. At the same time, tweeting during events can be used as event documentation as well as the curating of tweets for a Twitter “moment” at an event (e.g. Waterkant Festival 2017 (link in German). Anyone can create a hashtag – for an event, for example – if the organisers have not done so. Twitter is also an excellent community platform for users to create their own online learning communities, allowing learning processes to be shared publicly. All that members of a group need to collaborate on topics on Twitter are a common objective and a hashtag. As a result, Twitter is sometimes used as an element of MOOCs to exchange views and ideas within the learning community. Examples include the Leuchtfeuer Leuchtfeuer 4.0 MOOC (link in German) with the hashtag #feuer40 and Corporate Learning 2025 MOOCathon with the hashtag #cl2025. Every user uses the “Like” button on Twitter in their own particular way. Some people use it to create a ‘collection of links’, which can then be viewed in the user’s profile under ‘Likes’. Another option is to use an automation tool such as IFTTT to transfer all marked Tweet links automatically to a content tool such as Content-Tool wie Pocket, where they can be viewed later. In terms of learning of foreign languages, Twitter is, of course, a social media platform which lends itself to communicating directly with people from other countries. Twitter is also useful for studying dialects. The more actively you use Twitter, the more you can potentially get out of it. This also applies to learning. In this context, a helpful approach to help users systematically expand their own activities – on Twitter and elsewhere – and a method for collaborative learning is “Working Out Loud”, based on John Stepper’s book of the same name, which we will deal with in more detail in a future blog post. If you know of any other interesting examples or have any tips for using Twitter for learning, then we’d like to hear from you. Vortrag: "Future Internet – Chancen und Risiken für die Medienbranche"
Was derzeit zugunsten von Twitter spricht, ist die Tatsache, dass es eins der wenigen Sozialen Netzwerke ist, das frei zugänglich ist, ohne dass man sich gleich registrieren muss. Wenn man aber bei Twitter angemeldet ist, dann ist es sinnvoll, einen Client zu verwenden, nämlich Tweetdeck https://tweetdeck.twitter.com/. Hier kann man verschiedene Abfragen und Twitter-Accounts als Spalte einrichten (was beispielsweise bei Beobachtung von Konferenzen über ein Schlagwort, einen hashtag ganz sinnvoll ist) und dann gesammelt und zu einem günstigen Zeitpunkt en bloc zur Kenntnis nehmen. Mit anderen Worten: mittels Tweetdeck kann man Twitter sehr schön an die eigenen Bedürfnisse anpassen!